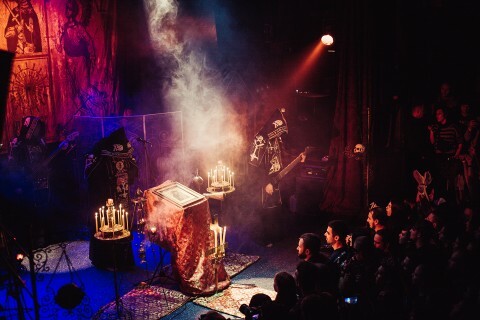 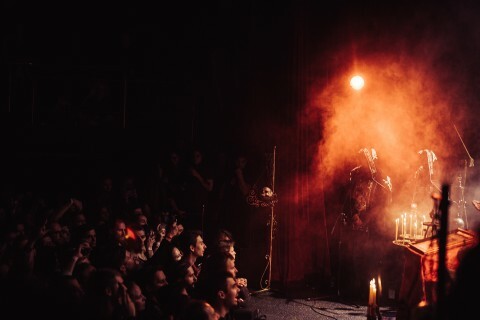 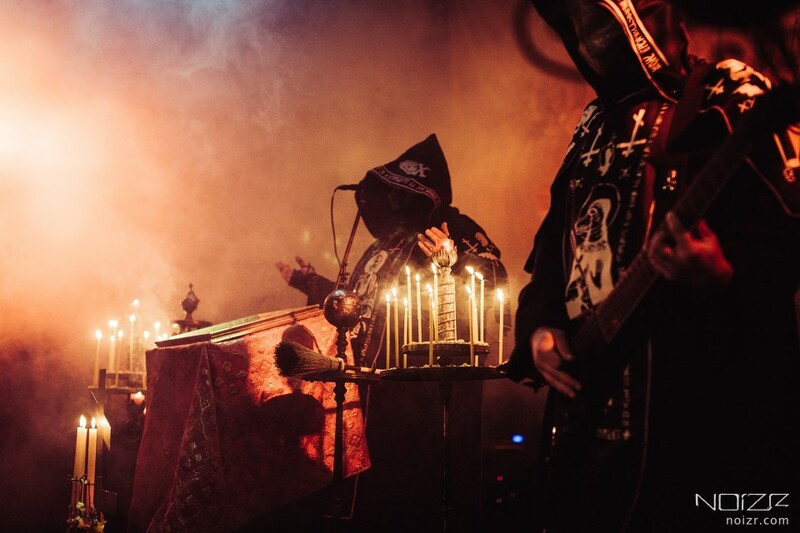 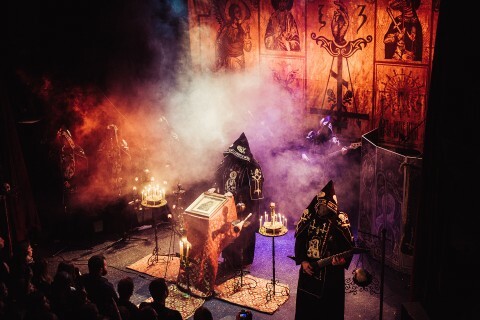 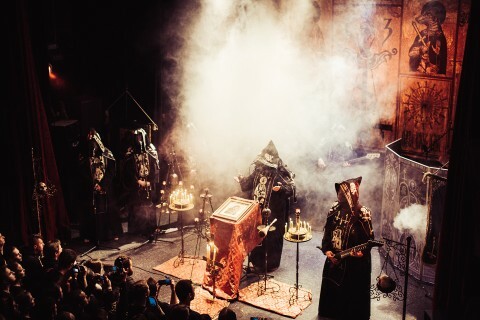 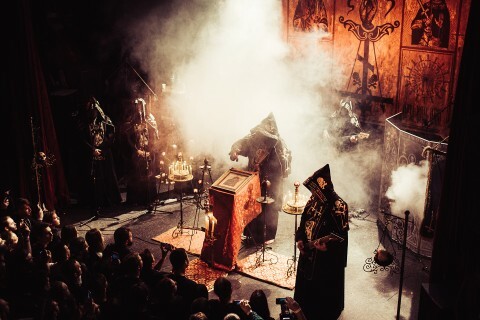 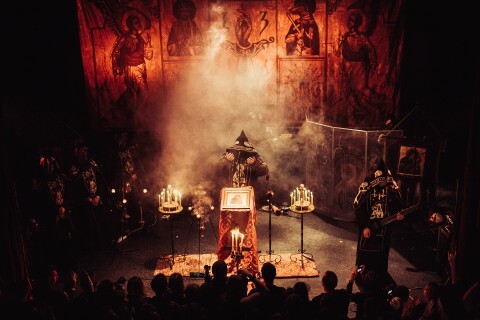 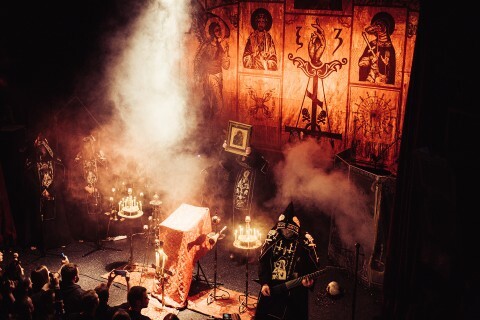 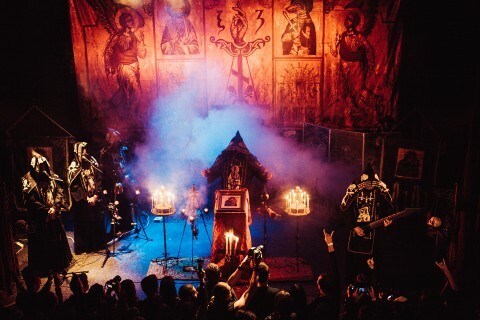 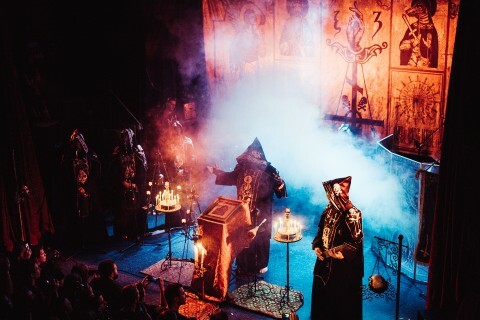 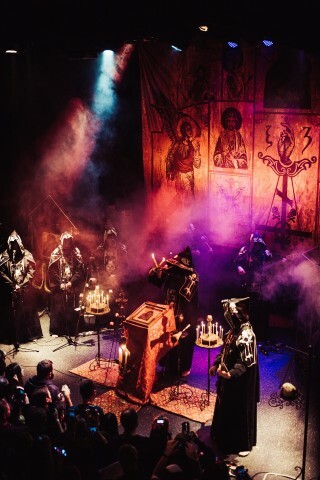 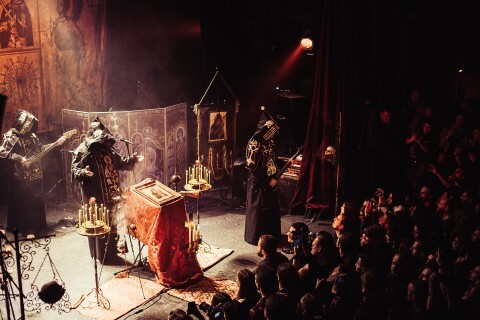 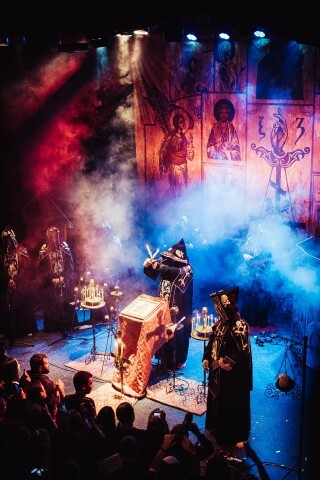 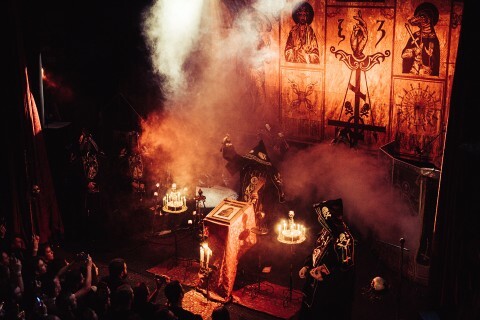 After the first concert of Batushka in Kyiv in 2016, their next gig in Ukraine (which happened on October 6) was only a matter of time, as the Polish project can boast that it’s one of the few black metal bands that even with their repeat visits can gather a full house. 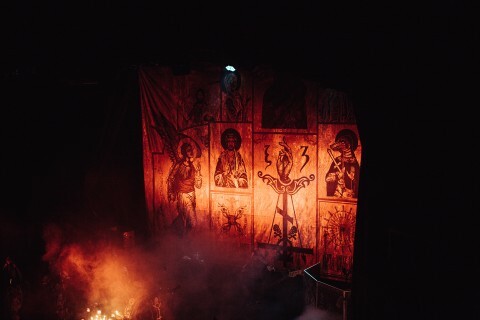 As the band played without supporting acts, the interval between the opening of the doors and the musicians’ appearance on the stage took 2 hours. 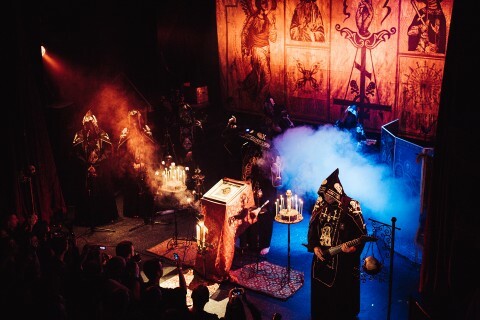 However, it was certainly the right decision to make such a big gap — that evening the venue was jam-packed with visitors, and during this long break everyone managed to pass entry control and get wristbands. 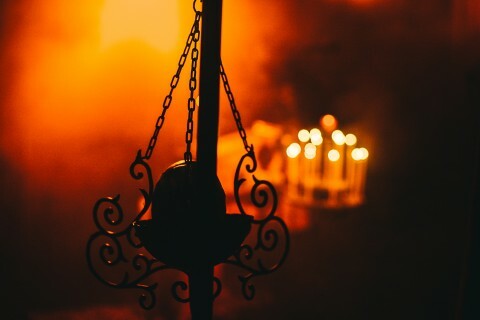 Unfortunately, it was not possible to buy tickets at the entrance due to being sold out. 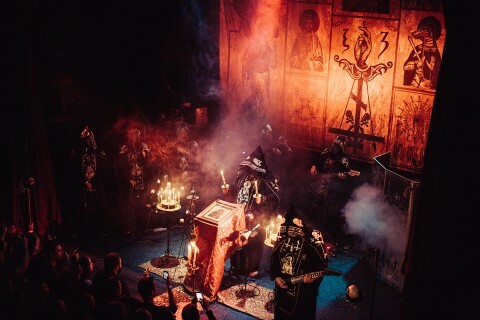 That’s why, of course, the question arises about the reason of holding an event within the walls of MonteRay, and not another larger club; since the number of people willing to attend the show significantly exceeded the capacity of the venue. 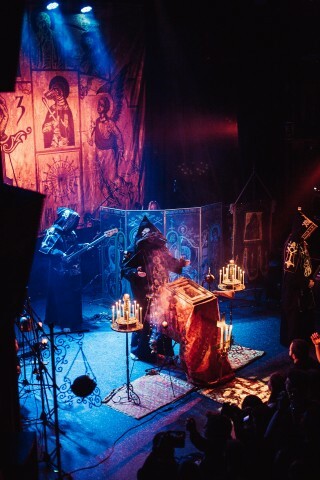 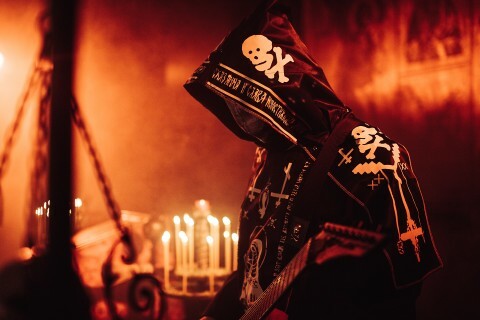 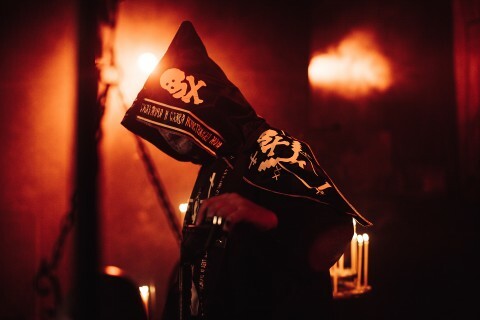 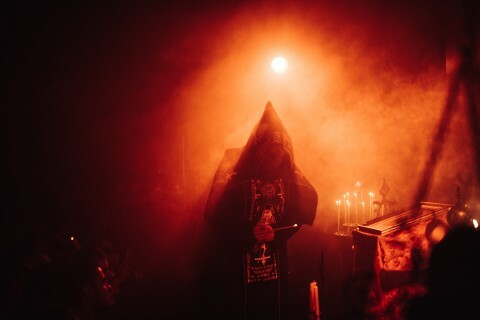 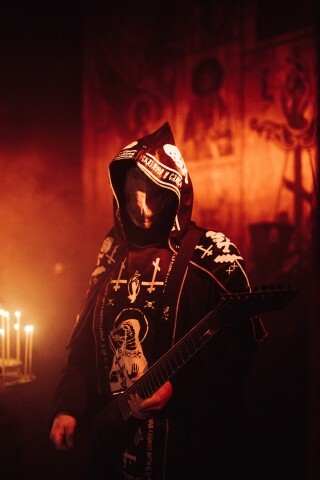 The set of Batushka was short — it lasted a little less than an hour, during which the band played its entire debut and so far only album "Litourgiya" (2015). 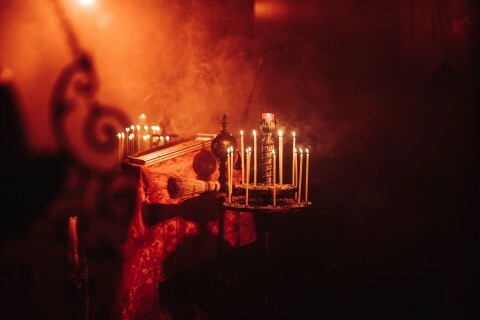 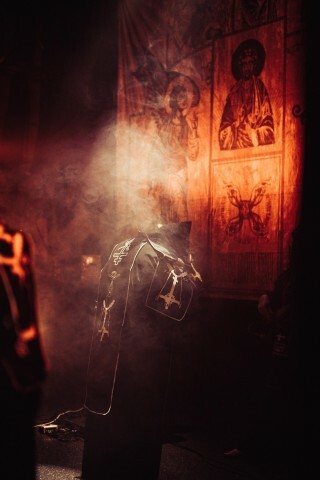 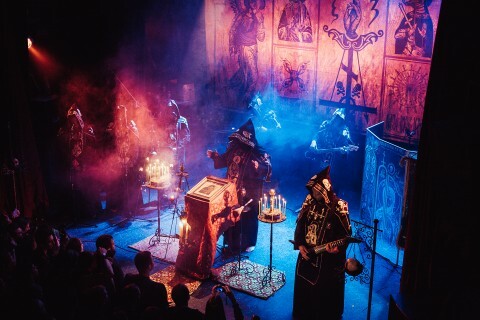 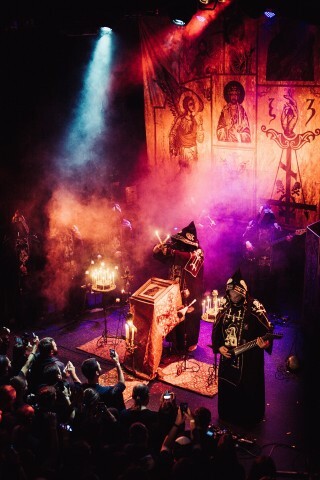 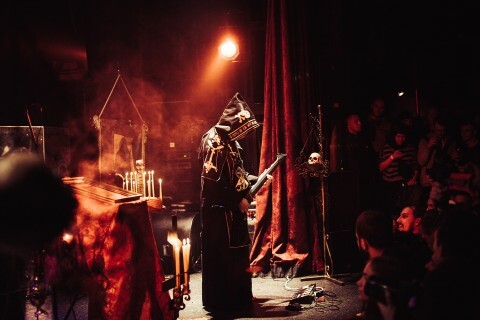 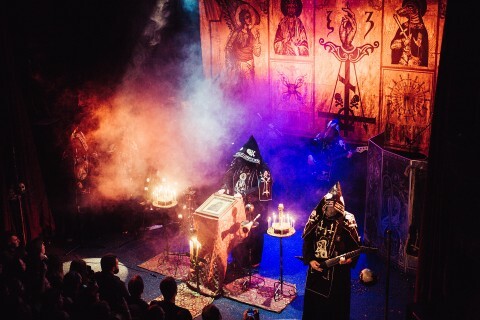 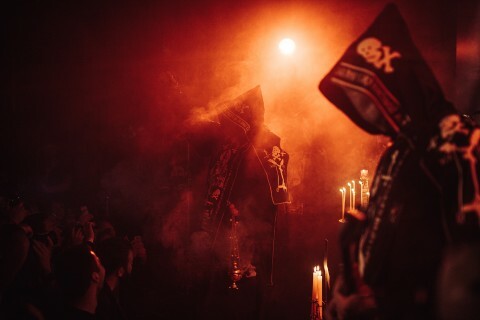 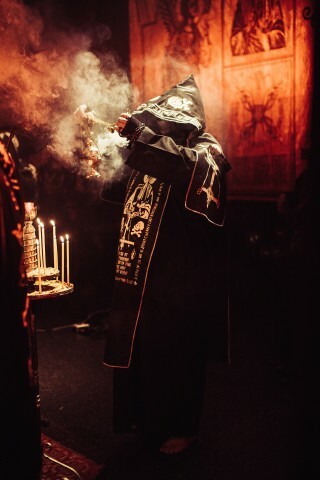 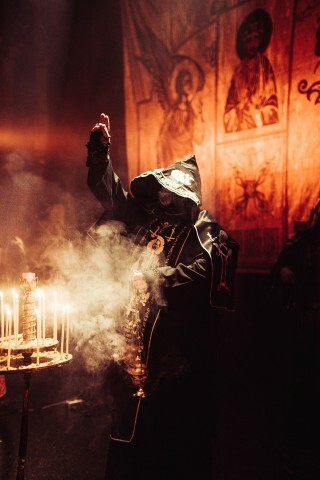 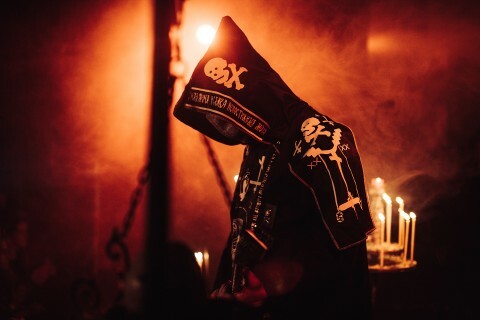 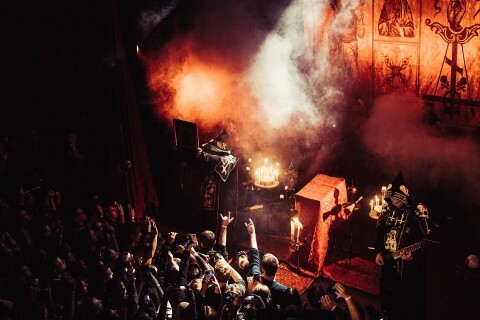 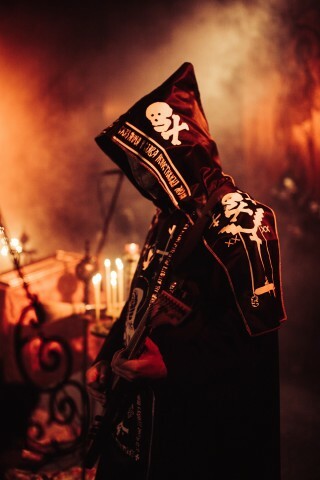 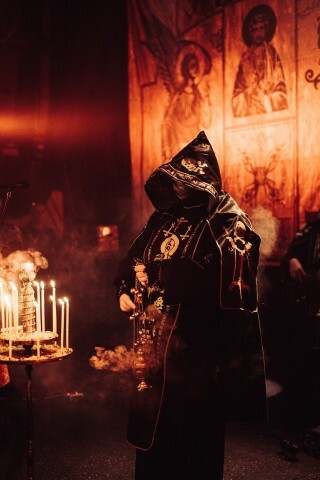 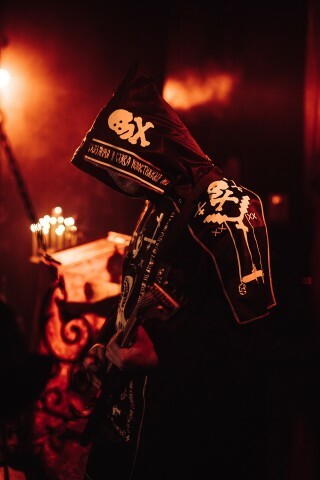 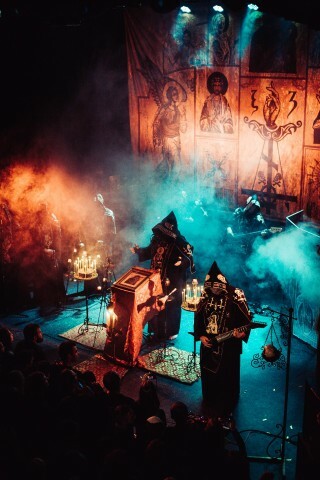 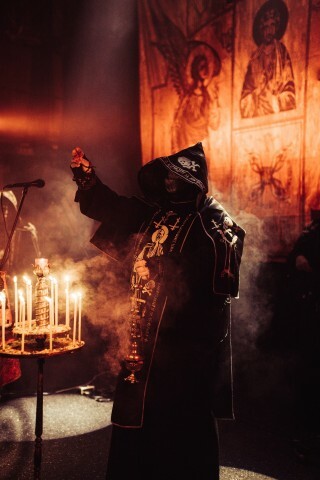 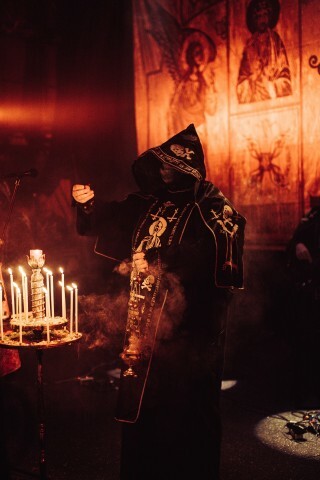 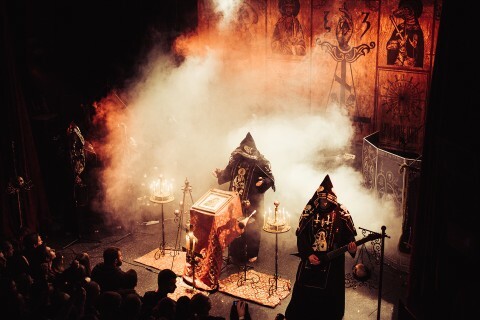 The show was very atmospheric, ranging from pseudo-Orthodox decorations and robes of the band members, a small choir, church candlesticks and coasters with skulls to the "ritual" actions of the band members — the guitarist appearing and walking on stage to the sound of a little bell or vocalist Варфоломей’s waving with a censer and an icon above the mob, fascinatedly looking at him. 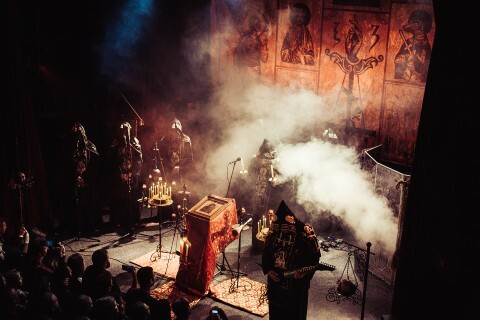 All this helped to focus the audience's attention well and worked perfectly to create the necessary atmosphere during the whole evening. 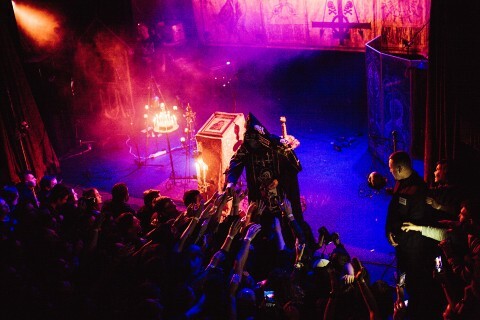 The crowd warmly welcomed the band and it was clear that the majority of the people wanted to mosh in the first rows in front of the stage, but, unfortunately, the place was very small and there was simply nowhere to go wild. 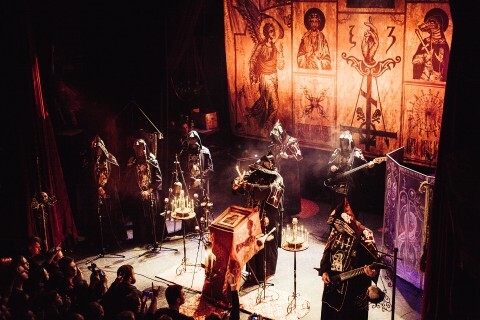 Probably, such a dense crowd of people in the hall influenced the fact that the sound during the concert was muffled, all the bodies soaked up the sound! 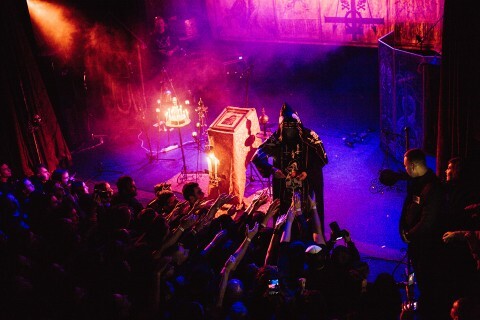 In general, I have no complaints. 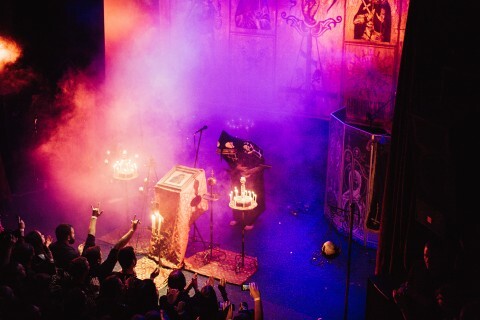 The concert was finished with the band’s performing of the final track "Yekteniya 8", after which guitarist and project’s leader Христофор slowly put out the candles and gave them to the visitors, who were eager for the continuation and greedily grabbed the souvenirs from the musician’s hands. 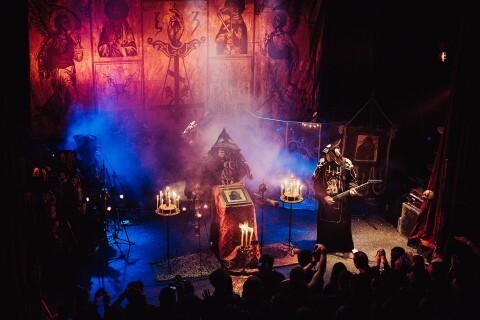 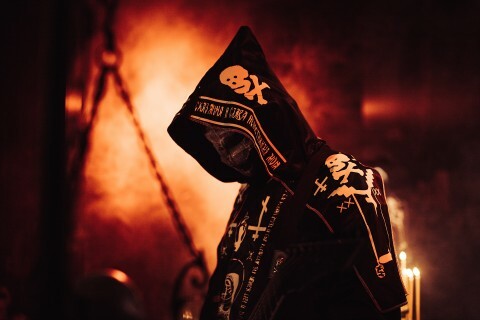 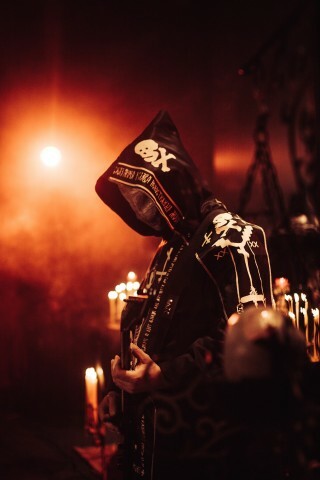 Now all that remains is to hope for the forthcoming release of the second album and a supporting tour, which will certainly touch Ukraine, where Batushka is always met with such a big stir. 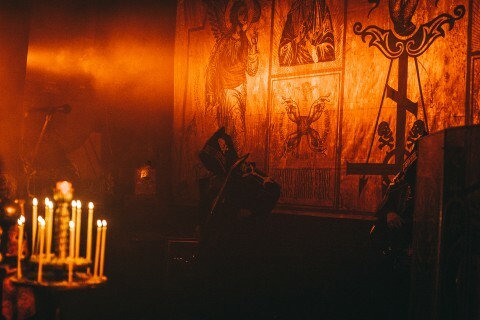 In the near future, the project has plans to complete a tour in support of "Litourgiya" with a series of concerts in Europe. 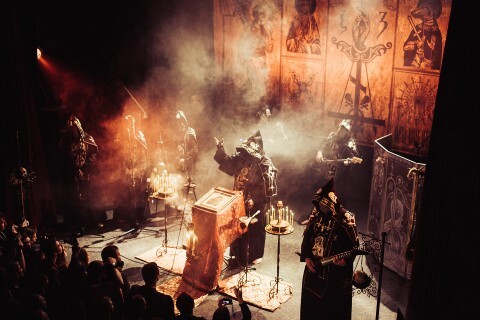 Check out the full list of concert dates here.